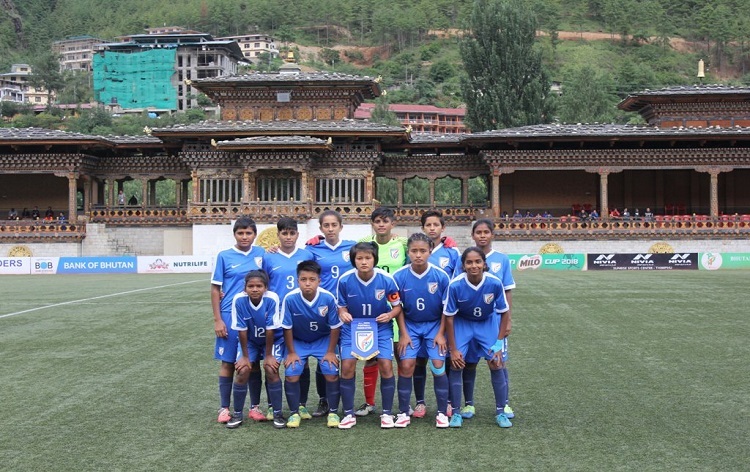 The Indian Women's Football team has progressed to the semi-finals of the SAFF Under-15 Championship at Thimpu. They defeated hosts Bhutan, 1-0 yesterday, in a tightly contested match, during which India rattled the bar twice. Shilky Devi's 58th-minute strike proved to be the difference between the two teams. With the victory, India topped Group-A, winning both of their matches.